A niche is a small segment of a market. There are multiple niches in the market. However, when the time comes to find a niche or niches to launch a business, many entrepreneurs struggle to find the right one. So, how can someone find a niche in a market? Finding a niche in the market is easy. I’ll show you later. The problem is finding a Profitable Niche or niches in the market that you can use to launch a successful business. Many online entrepreneurs, including the experts, believe that the right niche for your business is your passions. This is wrong! Don’t follow this advice. Are you surprised that I told you don’t follow your passion? This is exactly what I did with my online business. Hi! This is TQ. Here’s my professional profile. I have discovered a better way to identify profitable niches in the market. I have used this method to build a few successful niche websites. 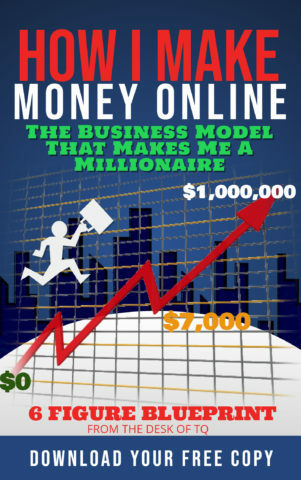 You can download a free copy of my popular eBook, ‘The Business Model Thant Makes Me A Millionaire,’ to learn and launch your own online business. Launching a business based on your passion is not the same as launching a business based on a profitable niche. Your passion might NOT be a profitable niche. This is the reason many online businesses fail! Before sharing the 4 steps to find your niches in the market, I like to discuss the basic understanding of a niche market. 1. What Are The Niches In The Market? Online experts define a niche market as a small profitable segment of a market suitable to launch a business. Yes, you must choose a profitable niche to launch a successful business. But before you can find a profitable niche, you have to identify all the niches in the market, whether is profitable or not. Once you know all the niches in the market, you start to research and evaluate each one until you find the most profitable niche in that market. Niches in the market are all the different customer segments that existed in a market with each segment represents a niche. Identify all the niches in the market is the first task you must do. The idea of starting your niche search with a market, even an industry, is to broaden the scope of your niches. It’s much easier to find a profitable niche or niches from a large group of niches. This is the stage where your passion can help. You can use your passion to identify a market or industry to research for your niches. Never use your passion as a niche because it might not be profitable, or it might not even be a niche. The problem with using passions as a niche is either too broad or too limited. It’s better to use your passions to find a market then works your way down to find your niche. Starting your niche research by identifying all the niches in a market is much easier than asking what my passion? Or What is a niche market? Recently I have an opportunity to counsel a young blogger struggling to find her niche market. She told me that she has a passion for pets. But struggling to find a good pet niche to build her blog. She followed her passion and got lost. I told the young blogger to choose one of these 5 pet markets to find her niche or niches. I gave her a short exercise using Google to identify all the niches in the market that she has chosen. The blogger picked the pet food market. A quick search on google reviewed there are 3 segments in this market. They are Dogs Food, Cats Food, and Others. Within these market segments, she can further break them down into the smaller segment to find her niche. The market approach is a much easier process to find a profitable niche. Once you identify all the niches in the market, the next step is studying and evaluating each niche to find the most profitable one for your business. This is the niche research stage. Your niche research is to gather the following market information, the size of the niche market, the niche market trend, the niche suppliers, and the niche market competition. Gather as much information that you can to assist in the next step of picking a niche. You can use this tool to conduct general market research, including the niche market size and trend. You want to look for the studies and industry papers on the niche market sales volume, forecast, and outlook. This information provides a good understanding of the niche market size and trend. Ideally, you want to look for a niche that has sales volume in the billion dollars with a continuous growing trend. You don’t want to see the niche market sales and trend shrinking. This is a bad sign. You can give this a try by visiting Googleand enter this search phrase, ‘natural and organic pet food market study,’ to see what you can find on this niche market. This tool provides us with an unbiased sample of Google search data on a specific topic over a period of 10 years. This data allows us to measure and compare consumers’ interest in a topic or search term over time. I use the Google Trend tool to compare niches popularity. This data offers me a good understanding of what niche is hot, and which one is not. A niche that trending in popularity is a good niche to launch your business. You can visit Google Trend to conduct this simple niche comparison between ‘Natural Dog Food’ vs. ‘Natural Cat Food.’ From the data below, you can see that the natural dog food niche is more popular compared to natural cat food. You must run the comparison for all the niches in the market to help you identify the most popular niches in that market. You should give close attention to the ‘Related Queries’ data. This information is very important and useful when creating content for your business website or blog. These are popular search terms related to the niche market. The research tool offers you a precise monthly search volume for your niche market, including related keywords or searches phrases that people use to find products or services online through Google Search. Niche search terms and related search terms are used in creating marketing content that connects with consumers. We, as online business owners and/or bloggers, use these terms to reach our audience. The only way to know what the consumers are looking for is through keyword research. Today, it’s a bad idea to use the Google Keyword Planner as a free tool to conduct niche keyword research. The recent update has made this free tool useless. This keyword tool is created for advertisers, companies, and business willing to spend money on Google Ads. Data, such as keyword search volume represents only product searches, and market competition represents how much advertise willing to pay for a search term. This information is no longer reflecting the true value of the niche market. Don’t use Google Keyword Planner for niche market research. There are other robust free keyword research tools that you can use for this research. 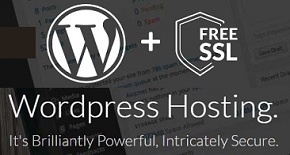 The free keyword that I use is ‘JAAXY.’ This keyword tool allows 30 free keyword searches per month with no time limited. This is more than enough for conducting niche research. You can try Jaxxy below. Average Search Volume: this data indicates consumers interested in the niche topic. You need this information to understand market demand for your niche products or services. Keyword Competition (QSR): you need to know the niche market competition to give you an idea of how easy or difficult to compete successfully with other players currently in the market. The lower the competition the better, but no competition might be a bad sign too. Upon completing the niche market research, you should be able to identify from all the niches in the market. You should have data on which one has a healthy market size with a growing trend, which niche is most popular, and which has the highest market demand with low competition. A profitable niche market requires a healthy number of niche suppliers unless you intend to become your own suppliers. If you plan to become a blogger, one technique to monetize a blog is through affiliate marketing. This means you are promoting other people products and/or services on the blog to earn commissions. A niche with a low number of suppliers is very difficult to make a full-time income compared to a niche market with a robust number of suppliers. To understand more about affiliate marketing niche, I suggest you follow the link to read the full article discussing the step to find profitable affiliate marketing niches. The way to research niche suppliers and manufacturers is by visiting the competitor business websites or conduct a simple search on Google for niche for products and services. You can go to Google to search for ‘natural pet food products.’ You will see the search result for hundreds of suppliers in the natural and organic pet food niche market, both from advertising and organic. Finding supplier in a healthy niche market is not difficult, but it is an important part of the niche market research to confirm the profitability of your niche. Using the information collected in the steps above, you should be able to identify the most profitable niches in the market. You must carefully go through the research information looking for a niche with a good size market volume, growing steadily every year, popular amount consumers, and a healthy number of suppliers and manufacturers for you to promote and make money. A niche that meets all the characteristics above is the most profitable. Is this mean you should choose this niche to launch a business? No, not so fast! The next data that you must evaluate is the niche market competition, the number of competitors in the market. Be extra careful when evaluating niches with little or no competitions. There might be something wrong with the niches preventing people from launching a successful business. I don’t evaluate market competition in term of the number of competitors in the market. When determining market competition, I calculate the market saturation percentage. This gives you a better idea of a niche market competition. Niche market saturation is when the number of players in a market offering products and services to the point the marketplace has been maximized. It is very difficult to compete and earn money in these markets. You can determine market saturation by dividing the niche market sale to the market value. Example: the natural and organic pet food market sales volume is $8.2 billion dollars while the pet food market value is $91 billion dollars. So, if you divide ($8.2/$91 x 100), the niche market saturation is 0.012%. This niche doesn’t even reach 1% of the pet food market. The niche market competition is low. Never look at competition in term of how many players in the niche market. It doesn’t give you the real market competition. It’s better to look at the niche market competition in term of its sale volume verse the market value. A niche with a low market share has a lot of room for growth and expansion. It is a good niche to build your business. The best process to find a profitable niche to launch a business is by doing the top-down approach. Start with a market or industry and work your way down. First, identify all the niches in the market, then careful research each niche in the market to determine niche market value, trend, popularity, and demand. The last step is evaluating the market competition. without a problem. This method is better than the ‘follow your passion approach.’ I develop this method based on many years of business experiences. You can check my profile for professional credentials. Finding a profitable niche market from all existing niches in the market is easy, but building a successful niche business requires more work. If you are interested in more lesson on how to build a successful online business, I recommend you use these 10 Free Lessons from the Wealthy Affiliate University to get started. You can also download my popular eBook, ‘How I Make Money Online,’ to learn the entire process of building an online business from choosing a niche market to promoting and expanding your niche. I hope this article offers you a good foundation of what is a niche market? And how you find your niches in the market?